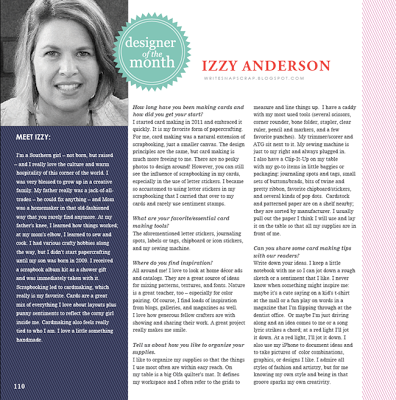 I'm so excited to post today that CARDS magazine named me Designer of the Month in its current issue, February 2013, on stands now. The magazine chooses 12 designers a year for this designation. I am not sure how I slipped into the mix but I admit: I grinned ear to ear when I found out. 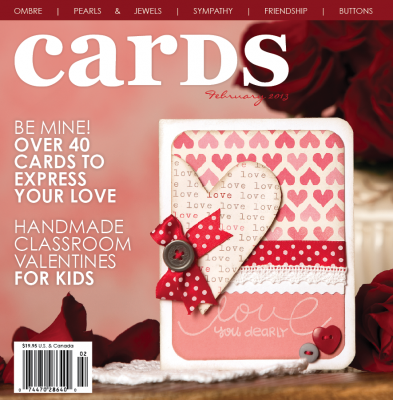 CARDS magazine published an interview with me and featured five of my cards. 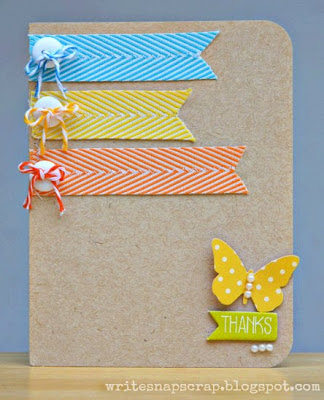 Four cards were new for the magazine and one was a favorite of mine that I made with Little Yellow Bicycle. Unfortunately, I can't show the cards until March 1 due to my contract. But I can show a scan of the article. And I can show you two of my cards that were published in the January issue of CARDS. This one was for the ribbon challenge. I used my very favorite ribbon for this one: May Arts chevron twill. I have it in every color. 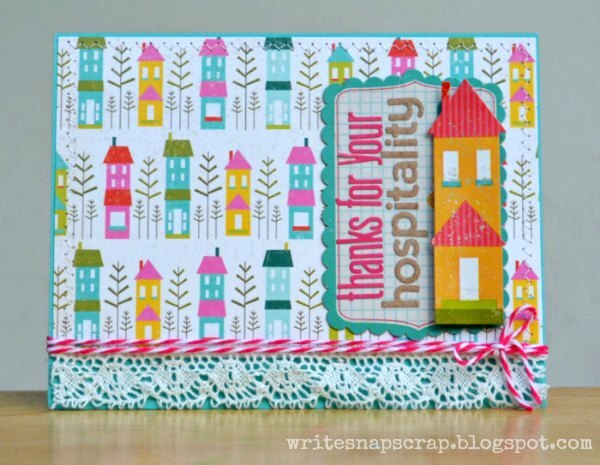 This card I made for an assignment with My Creative Scrapbook, using a kit that featured this cute collection from Echo Park Paper. Thanks so much for stopping by. I'll be back Tuesday with a new post. I hope you have a wonderful weekend. Wowwwwwwwwwwwwwwww!! That is soooooooooooo exciting!! HUGE CONGRATS!!!! Izzy, this is so amazing and you deserve every little bit of it--your work is so awesome!!!! enjoy your limelight- you deserve it totally!!! 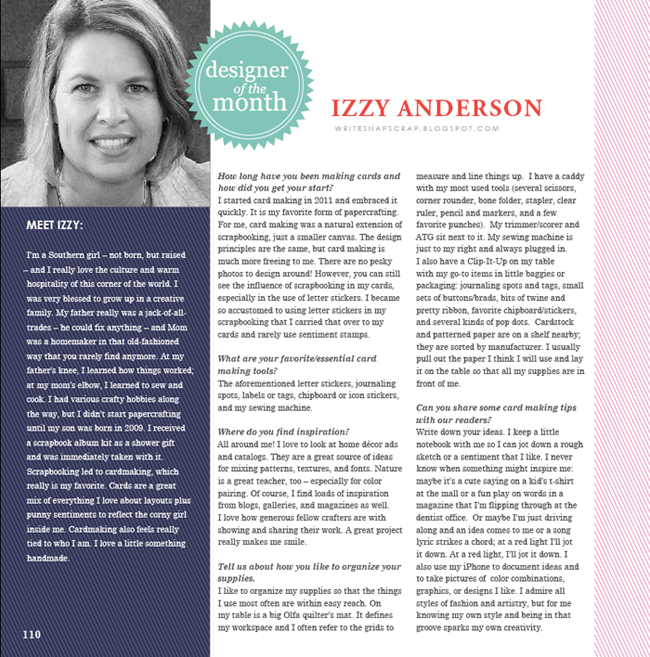 It is absolutely no surprise to me that you were named one of the top designers. 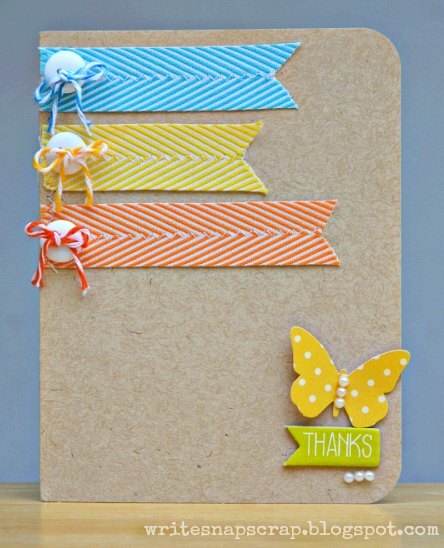 Your cards are so much fun to look at! Congratulations! Huge congrats on this well deserved honor, it's no surprise they chose you! Beautiful cards. They are so bright! Congratulations! That is so exciting, I can't wait to see all your cards. Congrats Izzy! That's so exciting and your cards are awesome!! Congrats, Izzy!!! That is SO EXCITING - and well deserved! Looking forward to seeing the rest of the cards...the ones above are just amazing! Congratulations, that is such exciting news!!! Well you ROCK, Izzy!!! Congrats!!!! Congratulations on being featured. Your cards are very beautiful. Oh my gosh - congratulations!!! So awesome!! So happy for you!! Wow, that is fantastic, congrats! Love your cards. Congrats on your time in the spotlight!!! Can't wait to see the issue. Congrats Izzy! What wonderful news and so well deserved!! !